When I first started teaching I could never understand the sages of the staffroom who went far and wide with every chance which the holidays offered them. Now with more than a quarter of my career under the belt, I find myself planning holiday after holiday in the quest for relaxation as well as an opportunity to broaden my horizons. This Easter we have only managed a city break, Barcelona being the destination of choice as it is more than ten years since our last visit. As I sit in the airport waiting to board the flight back home I realise that I am a completely different person than when I last meandered around the cosmopolitan streets of this beautiful city. The most significant difference being the ability to notice, to look up and absorb everything around me. I guess that this is not dissimilar to how my attitude to my own learning has developed. Now as a thirty something I consider what I am learning, I take time to digest and question. I am discerning yet open to many more ideas than my younger self, I take a critical approach; no longer naive enough to believe everything I read or hear, I analyse, evaluate and reflect. These attributes I would have struggled to execute effectively at 15, 20 or even 25. The prolonged learning of both subject and general knowledge means that now I can confidently understand and apply new information with little anxiety or error. I’ve spent three decades making my mistakes, I’m comfortable enough in myself to try without worrying what if. In schools, we tend to complain about children growing up too soon but are we complicit in this? Is our urgency to push students through the perceived hierarchy of learning actually doing them a disservice? Is the power of not yet underrated? I would argue this is very much the case and we are serving the wrong master in doing so. Bloom’s is still very much in fashion and I sometimes observe a rush to scramble up the taxonomy to the dizzy heights or evaluation, critique and creation with little more than a hat tip to knowledge or comprehension. This is where this recent jaunt has really struck a chord with my own musings and the ethos that our school is working hard to develop. La Sagrada Familia is one of the most imposing and famous places of worship in the world. Still unfinished more than a hundred years after the first stone was laid it remains a source of awe and wonder for all who are lucky enough to visit. I have been to see this stunning building a number of times previously but it is only with a fresh perspective that I have been able to see the beauty behind its facade and have a desire to know more about the inspiration behind its construction which will continue for at least another ten years. Much to my surprise, it is the man behind the building who has become the focus of my attention rather than the church itself, which I had always considered a feat of artistic beauty rather than an example of architectural brilliance. Antonio Gaudí was from generations of coppersmiths and it was expected that he would follow in his father’s footsteps to continue the family tradition. 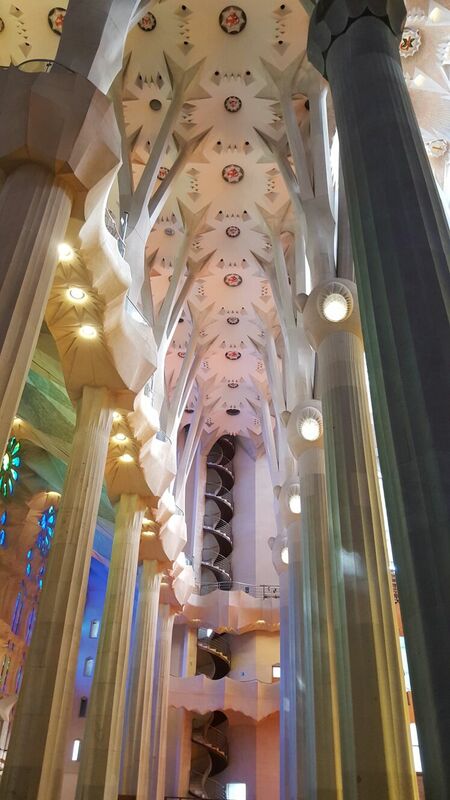 This was not meant to be, Gaudí had a love of learning and a curiosity for the beauty of nature. He never wanted to be anything other than an architect, he saw it as his purpose to develop the organic architecture of the natural world in man-made structures. If you are fortunate enough to see any of his work you will observe this in abundance. The aesthetic beauty of the plant like structures, the vibrant colours and the smooth curves suggests the mark of an artist, leaving us mathematicians in complete amazement at how the structures stand so firmly with absolute pride. Turns out that Gaudí was more of a mathematician than an artist, it was his saving grace in architectural school. He was quite the scientist too, experimenting continually to achieve the vibrant colours which adorn the stained glass windows of his commissions. It is from Gaudí that we can take a lesson in life, we don’t have to label ourselves. We can be many things we just need to find our passion, learn about the best of what has gone before and practise the craft. Had it not been for Gaudí’s extensive knowledge of the Renaissance and Gothic periods we would have never seen the opulent adornments in the shadow of forbearing creatures. His painstakingly scientific approach to the study of nature ensured that the strength found in organic structures could be refined, improved and implemented throughout his work. At the heart of everything was his unrelenting passion for mathematics, it was the glue that bound all aspects together; it provided the links between art, science and nature, it allowed him to create beautiful aesthetic curves from straight lines and solid planes; it highlighted the patterns in nature and equipped their reproduction for both beauty and support. However, it is only by adopting a perspective open to the different aspects of his ability am I able to appreciate Gaudí’s achievements and learn from them. 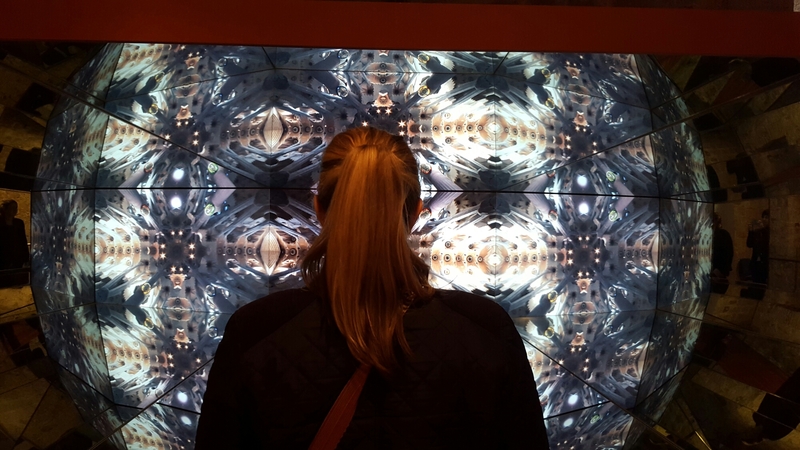 Equally, my knowledge of art, science architecture, mathematics and life experience is much deeper than it was on my last visit, I would argue that this has been the single biggest factor influencing my understanding of the last three days. It is only with an increase in knowledge and experience can I fully appreciate what I am seeing. 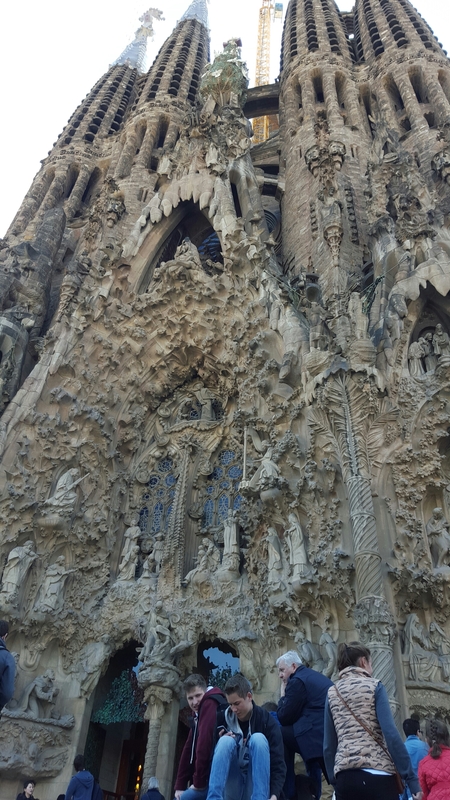 So what can be learned from Antonio Gaudí and my trip to Barcelona? In order to be great you have to study all that has gone before you and be determined to not only pay homage to the best but to improve on it. You don’t have to be defined as one thing, you can be many. 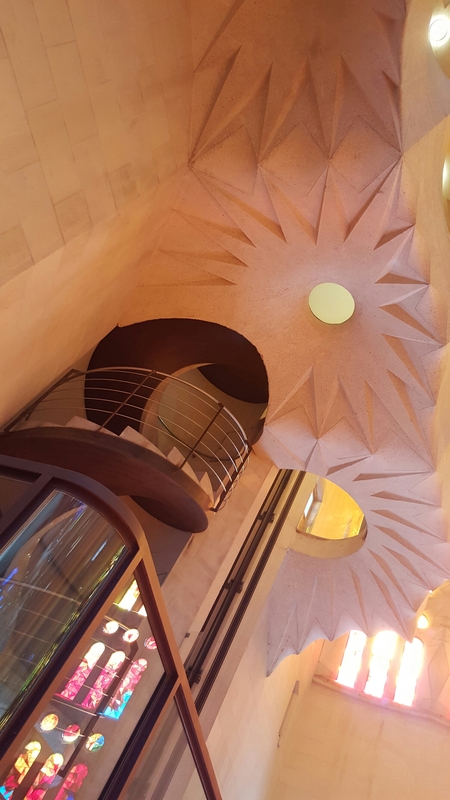 Gaudí was a proud polymath, we should encourage our students to be with a broad and balanced curriculum that is centred on a relentless pursuit of knowledge. Rather than looking to originality for innovation we should look to what is around us (especially in nature) and build on this. It seems that the most efficient and aesthetic applications of design, art, music, maths and science do this incredibly well already. There’s no need to rush. 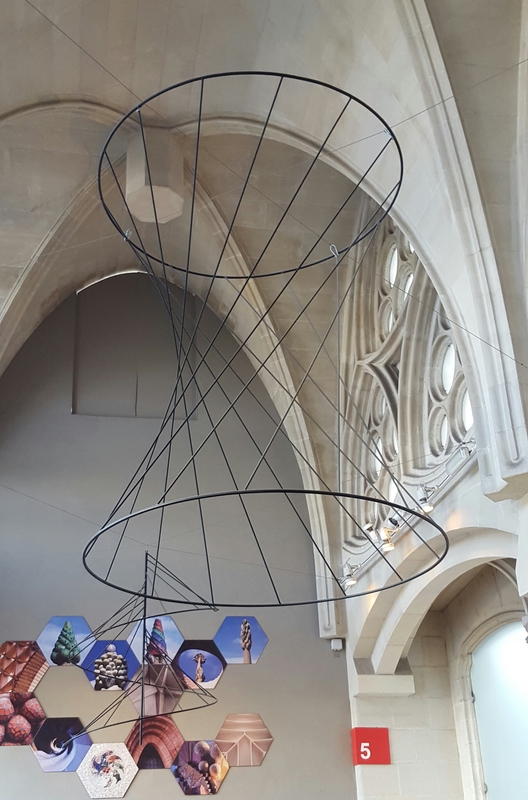 Gaudí knew that he would not live to see the completion of what had become his life’s work but saw this as an opportunity for further collaboration, refinement and improvement. He was confident enough in his work to know that the experts following him would want to be part of it. 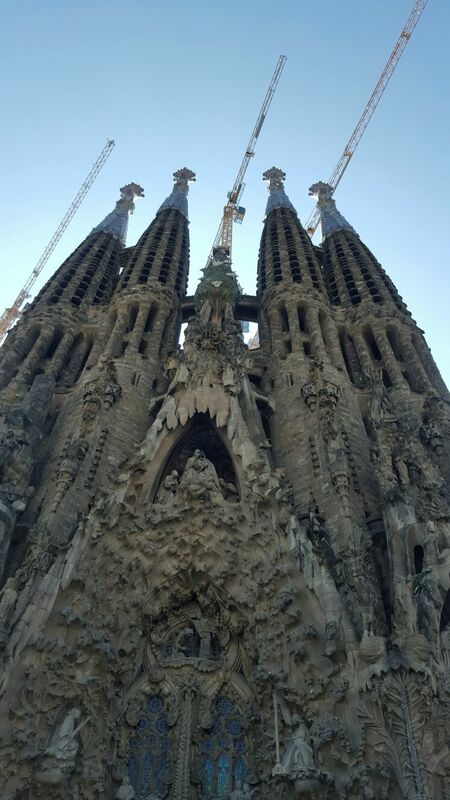 They would also contribute the best ideas of their time keeping La Sagrada Familia relevant for generations to come. This is true genius. Not everything we see is what it appears to be. Those beautiful curves which we consider artistic masterpieces are actually a series of straight lines executed with mathematical perfection. Proof that we need to look at things from every perspective and not prejudge. 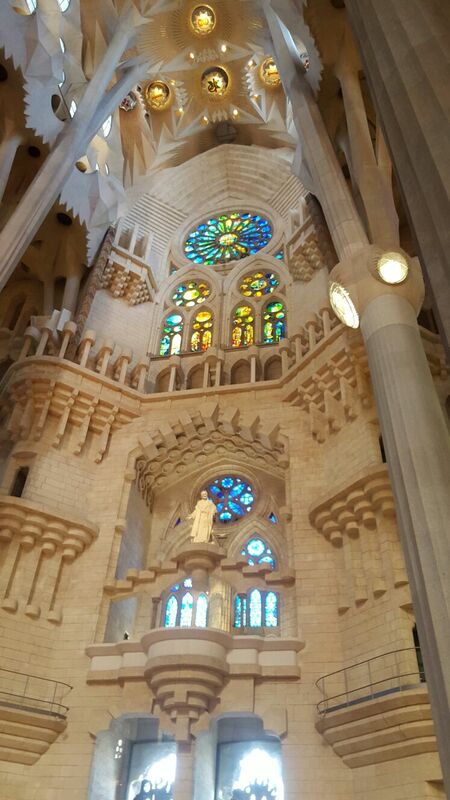 Perhaps Gaudí was giving us a metaphor in how we approach learning, others and life in general?